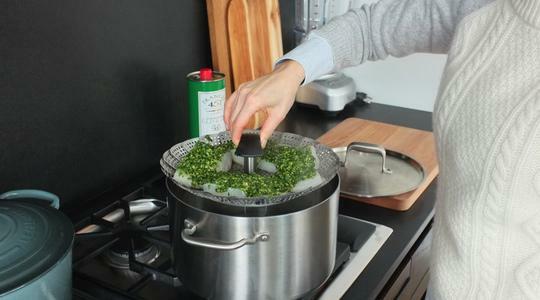 Fill a large pot with about 2 inches of water (or just enough to barely reach the bottom of the steamer basket when inserted). 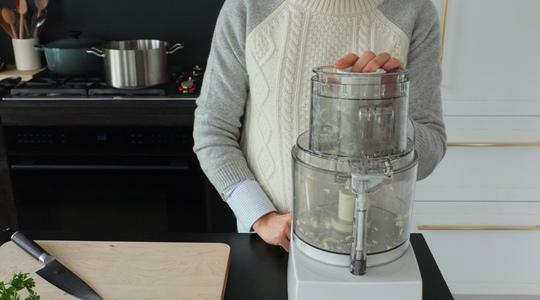 Put the garlic clove in a food processor and chop. 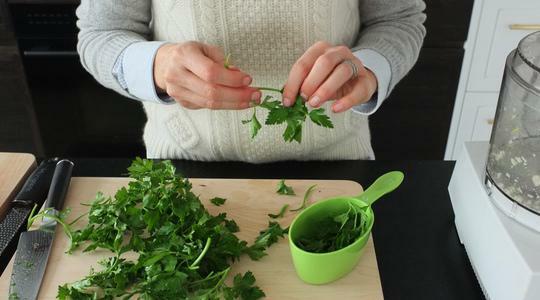 Wash the parsley and pat dry with paper towels then pick the leaves. 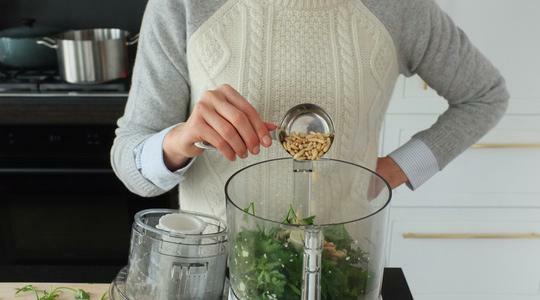 Add them along with the pine nuts to the food processor. 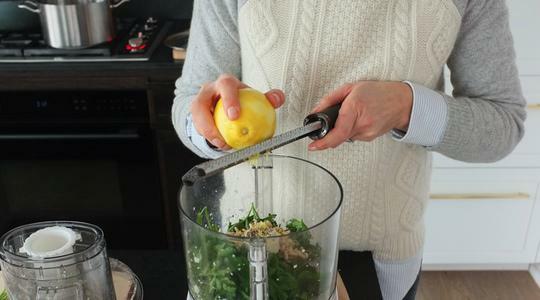 Wash the lemon and grate the zest right into the food processor. Add the salt and pepper (about 6 turns on pepper mill). Pulse a few times until coarsely chopped. 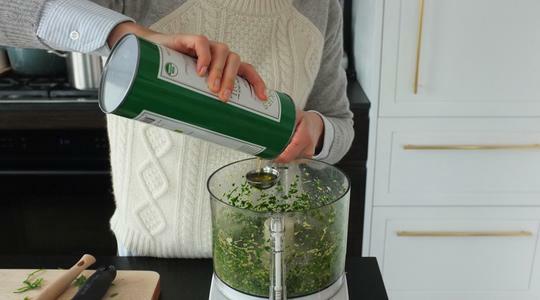 Add the oil and pulse a few more times until finely chopped (you don’t want the pesto to be completely smooth). Open your steamer basket and place the fish on it. 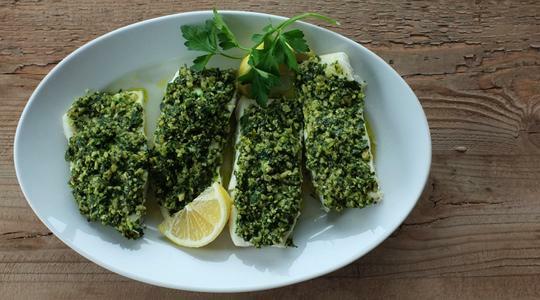 Dividing evenly, spread the pesto over each piece of fish. 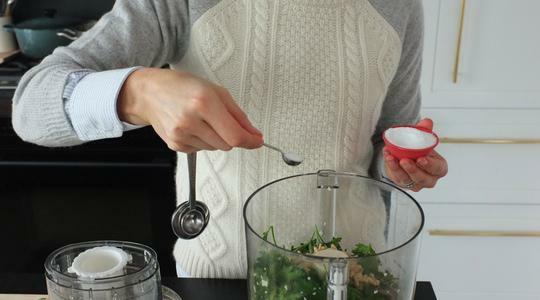 Now, turn the stove on to medium-high and let your pot of water come to a boil. 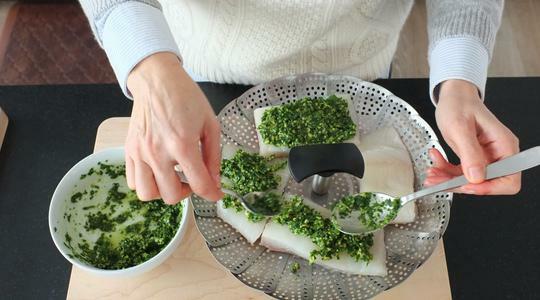 Lower the steamer into the pot, cover tightly, and steam until the fish is opaque throughout and flakes easily with a fork, 10 to 12 minutes. Cut the lemon into wedges and serve alongside.